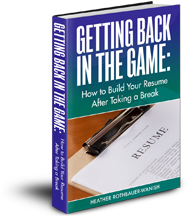 Your resume should give you CONFIDENCE as you move forward with your job search. 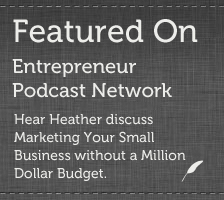 Dr. Heather has written thousands of resumes for a variety of fields. Are you next? Dr. Heather Rothbauer-Wanish has a BBA in management from the University of Wisconsin-Eau Claire, an MBA from Lakeland College, and a Ph.D. in Organization and Management from Capella University. She LOVES helping people position themselves for today's job market. 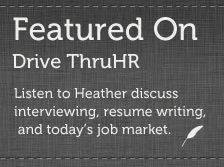 She can help boost your confidence by creating a resume that helps you land your DREAM JOB. "After we worked together--within 3 weeks, I sent 7 resumes, landed 5 interviews, and received 2 job offers. Thank you so much for everything!" - Steve S.
Ready for YOUR new resume? Contact us today! If you are ready to Master Your Job Hunt - download our proven 7-part email course for only $57! I just wanted to say thanks for helping me with my job search in making sure my cover letter and resume were the best that they could be. Without my awesome resume and cover letter detailing my business and education experience, I would not have gotten the position. The Board of Directors told me that it's one of the main reasons they felt I was the best fit for them.